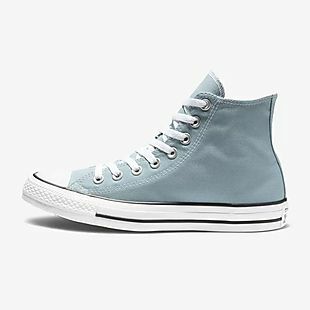 These Converse Chuck Taylor All Star High-Top Shoes drop from $60 to $24.98 after you add code 25DEAL during checkout at Converse.com. This price and code are currently working on eight colors with good size availability, including the pictured Washed Denim. Shipping adds $8, or create a free Nike+ account to get free shipping. These shoes feature a canvas upper, rubber outsole, and OrthoLite insole. They are available in both men’s and women’s sizes.